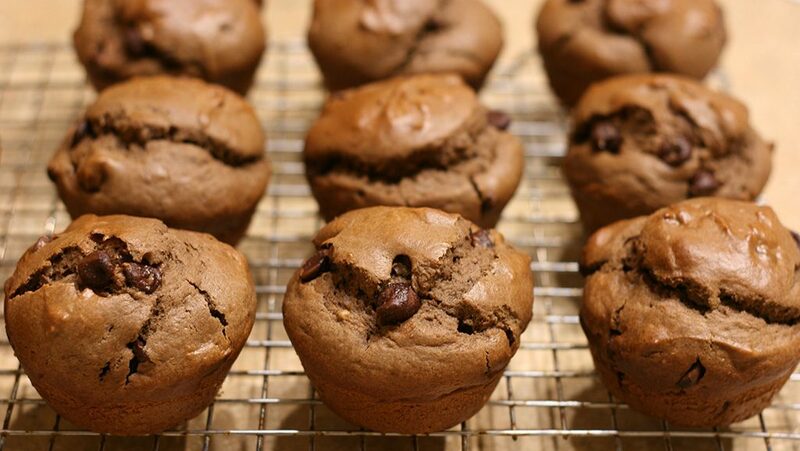 Chocolate muffins with chocolate chips are a very tasty treat. 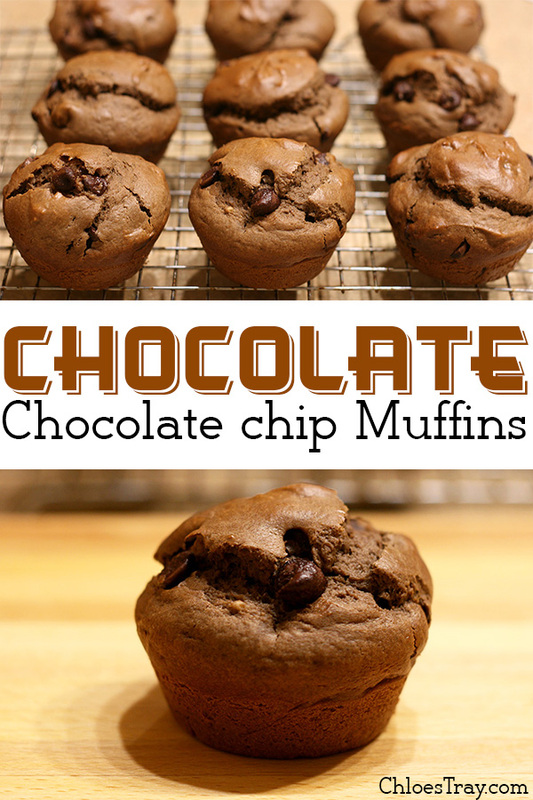 Chloe has been asking me to make some chocolate chocolate chip muffins for a few days now, so she was really excited to have these for breakfast this morning. 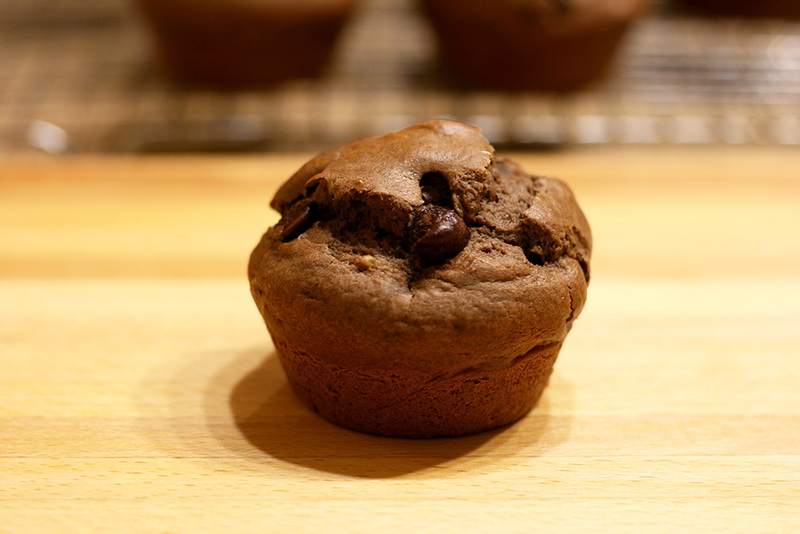 Preheat oven to 400°F and spray a 12 cup muffin pan with non-stick cooking spray. In a large bowl, beat the egg until fluffy with a hand mixer. Add milk and oil, beat until combined. Add cocoa powder, flour, sugar, baking powder, and salt. Beat until just combined. Don’t overmix. Bake until they start to brown lightly, about 20 minutes. Remove from pan immediately and cool.